Coloring: Shown here with added hand coloring of highlights. Also available in original lithographic colors only. . 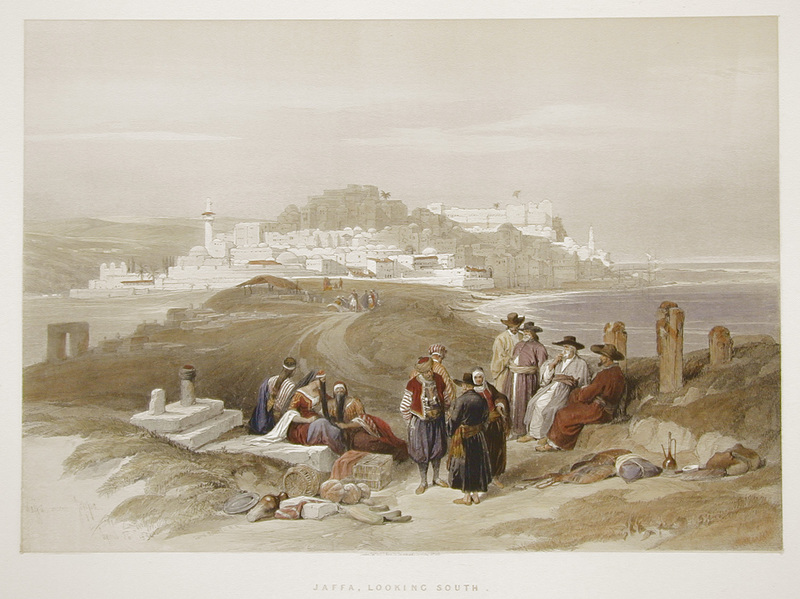 Comments: An excellent full folio view of the city of Jaffa (Tel Aviv), with a group including Jewish travelers in the foreground. One of the relatively few times Jewish figures are depicted in the lithographs. Price: $1,300 uncolored, $1450 colored. Image: 13 3/4" x. 19 1/2"